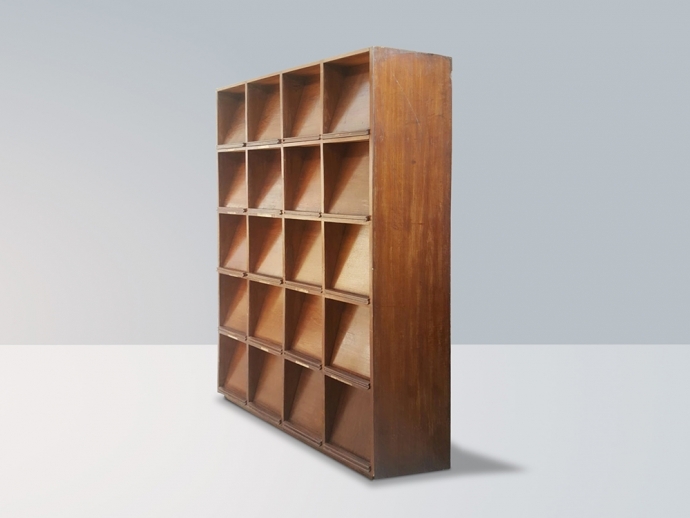 Very rare Book case for periodicals,with 20 identical compartments, all with a sliding door in veneered teak. Ca. 1960.